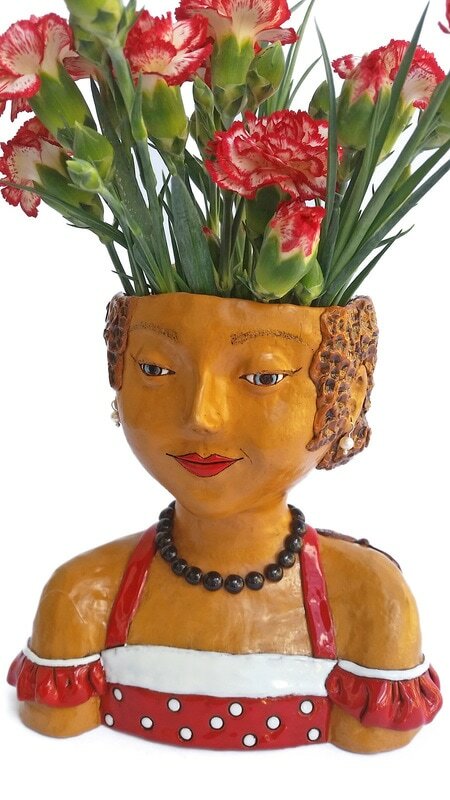 This heart warming ceramic vase shapes into a blue-eyed romantic lady in a swing dress. 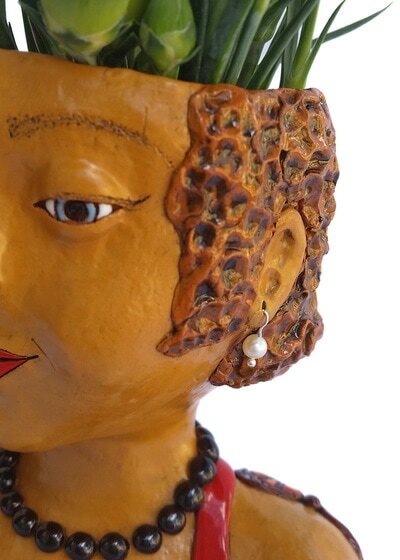 Removable tiny pearl earrings attached to the ears, a butterfly resting on a shoulder and each bead of the necklace carefully attached and glazed makes the process highly involving and precise. 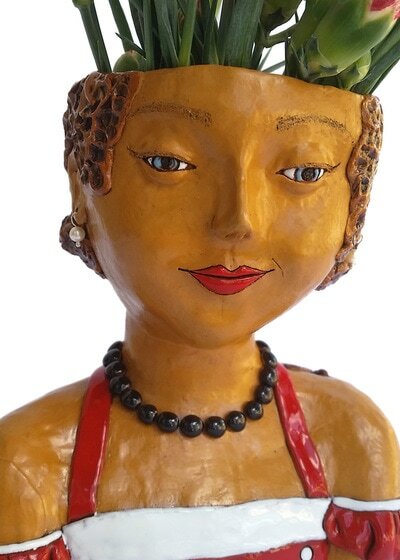 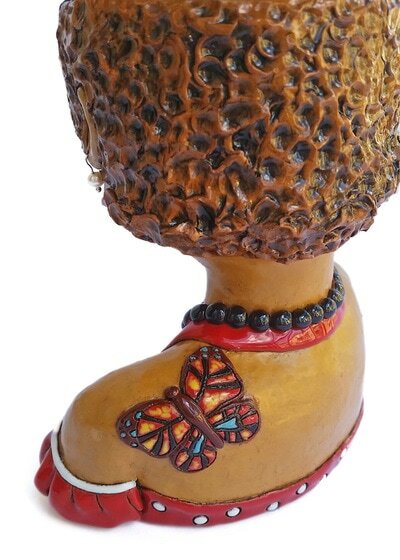 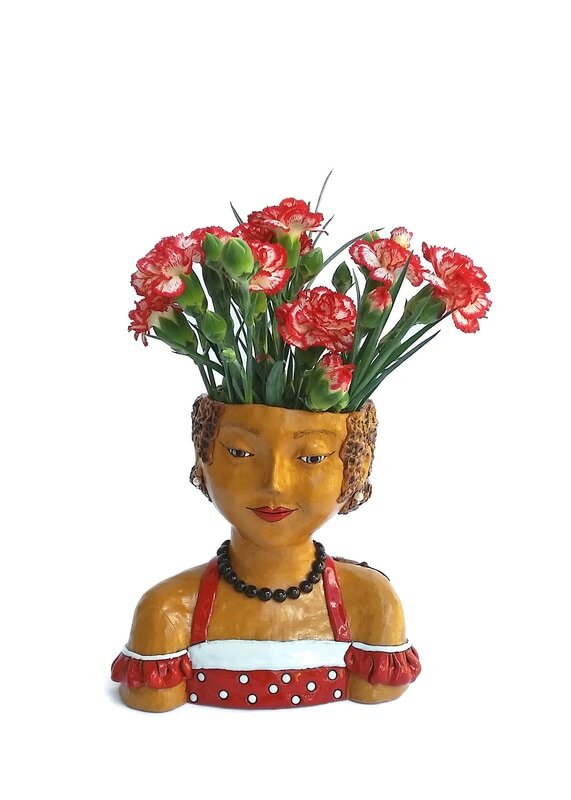 This scrupulously made ceramic girl with flowers in her hair is a romantic touch to a welcoming home. 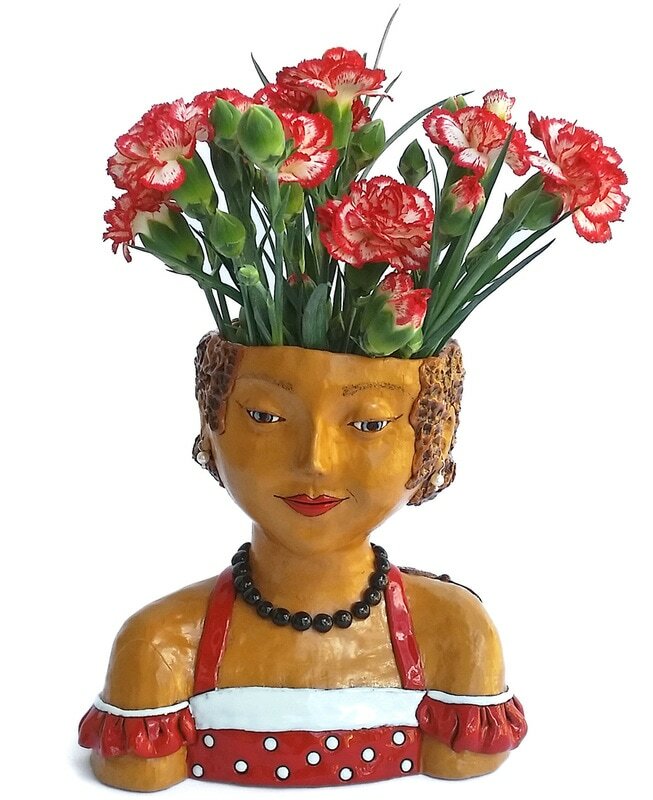 The vase is small sized and is perfect for spring flowers, it measures approximately 17 cm (6.7 in) tall, 16 cm (6.3 in) wide.